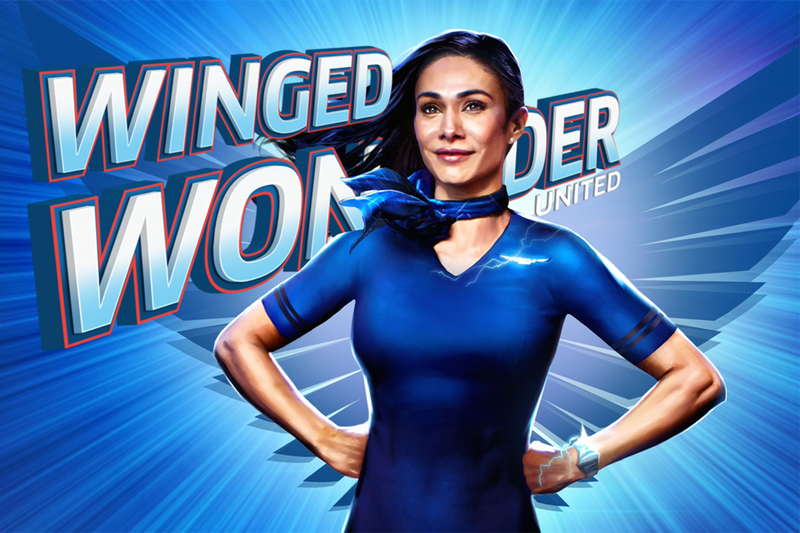 While United Airlines continues to deal with customer service nightmare after nightmare, it's trying to innovate with its advertising in this new campaign from McGarryBowen New York. 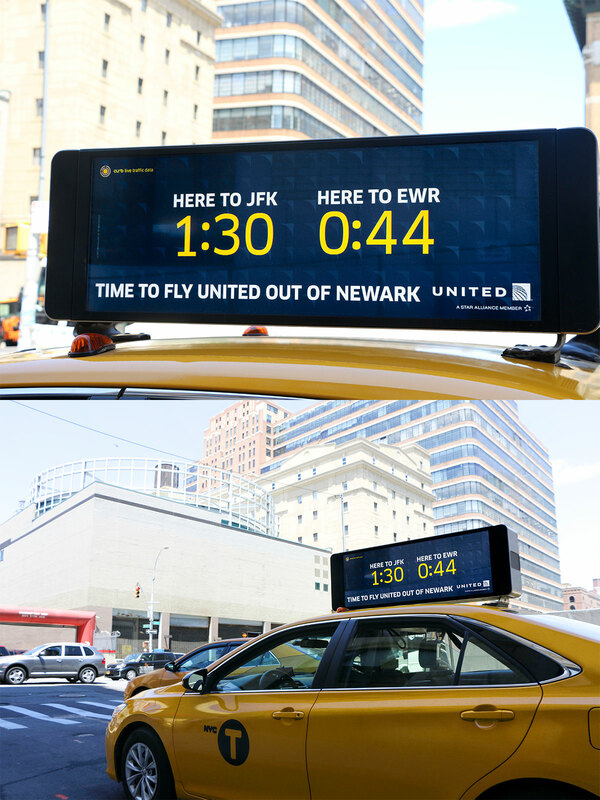 The agency has developed "real-time" digital taxi toppers for the airline, which informs passersby if it would take them longer to get to JFK or Newark airports, from the current location of the cab. The toppers pull data from Curb, so the info displayed changes depending on current location and gridlock patterns. Presumably, the idea is to show them that Newark is the quicker option, since United Airlines pulled out of JFK in 2015 (a decision President Scott Kirby recently said was a wrong move, according to industry trade publication Skift). The agency says this is the first time live data has been leveraged on taxi topper advertising, but we've seen similar live data employed in travel-related campaigns before. 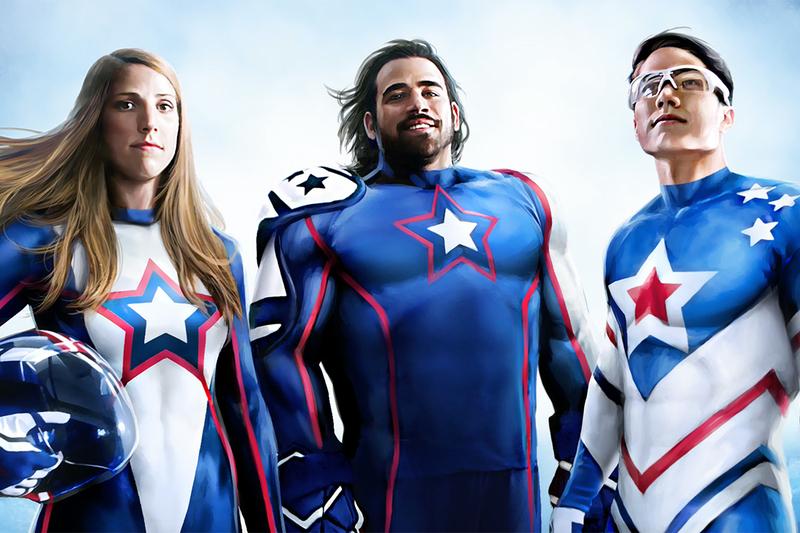 For example, JetBlue billboards showed pedestrians in New York's Times Square how long it would take for them to get to paradise, Virgin Trains pointed to bad traffic conditions in real-time to encourage consumers to opt for a different sort of transport while British Airways was behind a Grand Prix-winning digital out of home campaign that showed a small boy pointing to real planes as they flew overhead. 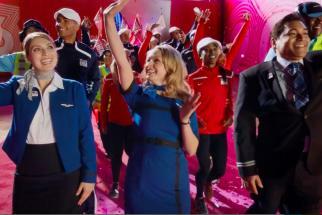 While we appreciate how real-time data can make out-of-home ideas so much cooler and more useful, it's not enough to divert our attention from the brand's much-publicized missteps with its customers, and we're wondering why United isn't directing every bit of its messaging to salvaging its reputation with real people.